R. H. Hummer Jr., Inc. was established in 1982. We are a common and contract carrier. 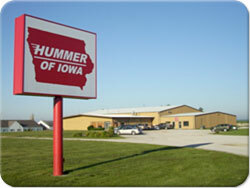 R. H. Hummer Jr., Inc primarily operates within a 700 mile radius of Eastern Iowa. We transport to all 48 state. 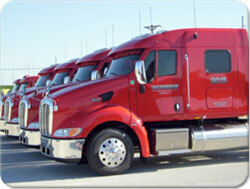 R. H. Hummer Jr., Inc. proudly runs newer equipment for power units, vans, flatbeds and drop decks. Our corporate office and main terminal is located at I-80 exit 220 in Williamsburg, Iowa. R. H. Hummer Jr., Inc. has Iowa terminals with drop yards located in Cedar Rapids, Des Moines, Davenport, Fort Dodge, West Burlington, Wilton and Selma, AL. We meet the specific needs of our customers through the various services that we offer, one of which includes the ability to drop trailers at your facilities so they are available at your convenience for loading. Another is dedicated fleet service. We realize your business is important, that's why we keep in touch with our drivers to be sure your loads are picked up and delivered on time and in a professional manner. We also offer a brokerage service through Pan AmLogistics, LLC. We have a dependable carrier base. This ensures that all special needs shipments are the responsibility of R. H. Hummer Jr., Inc. only. You can work with our office for all of your shipment needs. The R. H. Hummer Jr., Inc. team works together to keep our customers satisfied. Our dispatchers are eager to assist you with any questions you may have on the transportation of your freight. Our Sales Department will reply quickly with rates and scheduling information. The Accounting Department is available for any questions regarding invoicing. If you have any questions, please contact R. H. Hummer Jr. Inc. at (319) 668-8800 or by fax at (319) 668-8900.
and service than any of our competition. ensuring overall benefits for our customers.